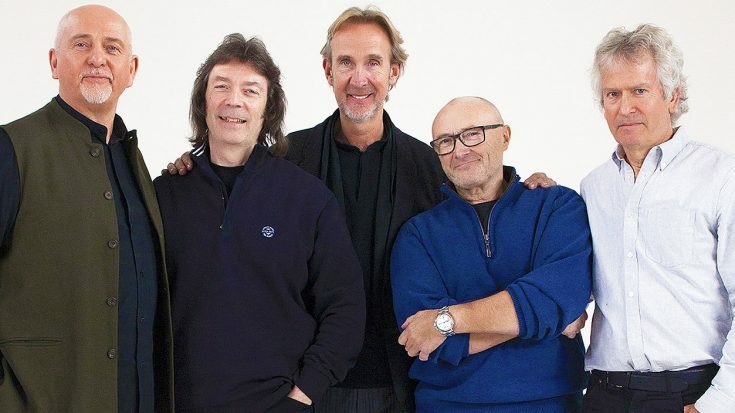 Phil Collins Announces He And Genesis Members Will Reunite For Epic Comeback Tour! The past year, Phil Collins has been steadily making his comeback from his temporary retirement. It began with him performing at the 2016 US Open of Tennis, then he made an appearance to perform on The Tonight Show Starring Jimmy Fallon, and now he has announced some major news for 2017! According to reports, Phil will in fact reunite with some of the members of his old band Genesis for an epic reunion tour! He is planning the tour for next year, and reports are saying that rehearsals have already gotten under way! Tony Banks and Mike Rutherford will be going Phil for the tour, but former frontman Peter Gabriel will not. “Tony, Mike and Phil are rehearsing now. I’m not involved in this round or this year. I haven’t ruled out the possibility of doing something in the future, but right now I’m going to focus on my own work.”– Peter Gabriel revealed. This is great news! Hopefully this tour does well and inspires Peter to want to work with them again in the future! Hopefully we hear soon on what cities they will be visiting! Let’s keep an eye out!